Pretty colors, inappropriate tool, and lots of imperfection. My kind of art! This afternoon I am indulging in one of my favorite holiday preparations, creating our holiday cards. This year's nengajo project is especially delightful because I am returning to what I consider my artistic roots - printmaking. I love creating multiples. The multistep process of creating a print is stimulating and satisfying. It puts me in a flow state and time passes without me noticing. And at the end of it, I can have as many copies of the print as I want. So I've been sipping tea and carving away at the wood for a few hours. 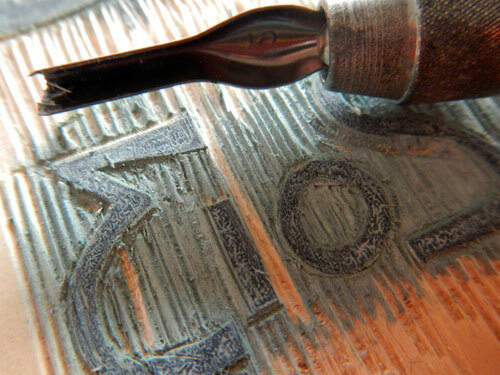 I used the tools I had at hand - linoleum knives - and they have been interesting to work with. They dull quickly on wood and aren't ideal for cutting across the grain. Fortunately, my design can take a bit of roughness around the edges and I have a plan to use some other knives to tidy up. A few minutes ago, I took the first impression to see what I've got from my labours. Lots of mess! Now I get to clean up the little lines and ridges until I can print sheets that don't have too many stray marks. I'll use the linoleum knives plus a couple of exacto knives for the edge detail. The block won't be perfect even with hours of extra tidying and that is part of what I love about printmaking. The ink colors Tod & I bought for the project were better suited to my original design idea, which involved a three stage reduction print process. I got frustrated with the design and a little scared about the time commitment. I abandoned that idea on Saturday. The design I settled on two days ago is simpler (and Tod liked it on first sight, whew!). But simple may require a bolder color scheme. Tod & I will discuss this tonight over dinner. I'll pull a couple of prints in the colors we have on hand and we will decide. I am such a loser - sent off my cards to the printer with the wrong kanji for snake year. Know where I can find a dictionary to check?